Club stand gallery from Telford 2012 with assorted layabouts (more photos and information to follow). 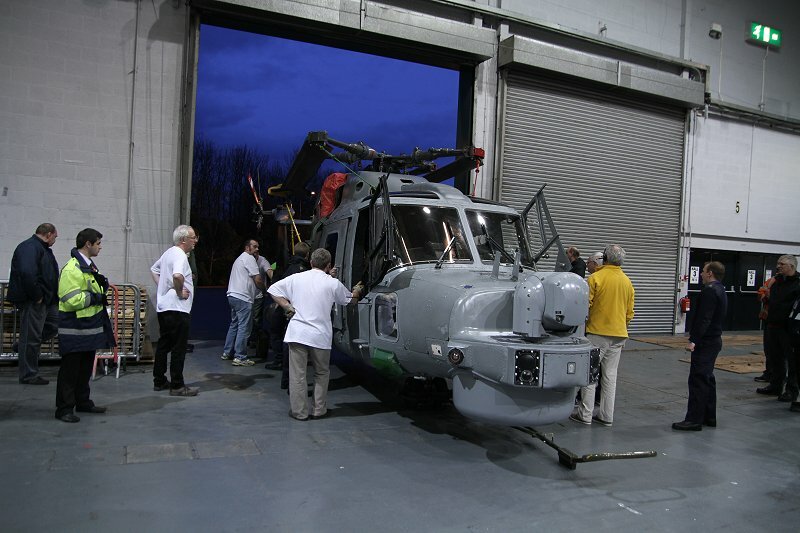 IPMS Farnborough to the rescue!! The other caption to the photo which is not mine I hasten to add is: "Englishmen supervising, Irishman working..."
Competition gallery and results table are now up to date with the September entries. This month saw the restart of the Member's Trophy and the subject this time was Science Fiction and Real Space. The Members Trophy gallery can be seen here and the winning entry by Nic Aronica can be seen here. Competition gallery and results table are now up to date with the August entries. Competition gallery and results table are now up to date with the July entries. Competition gallery and results table are now up to date with the June entries. Show report from the IPMS Salisbury show. Show report from the NewMod show. Competition gallery is now up to date with the May entries. Welcome to the new look IPMS Farnborough website! This new version has been designed to be as easy to maintain as possible, plus the photo galleries have undergone a major revamp so that you can see larger, clearer photos of the subjects in the monthly meeting competitions. I am also hoping that we will be able to update and expand the Reference section. The gallery contains photos from the past meeting currently only back to Februrary 2011. I am hoping to extend this further back as time goes on so we have a good record from the past, but this does involve cataloging several hundred, if not thousands, of older pictures, so it might take a while! Please bear with us if the occasional link within some pages doesn't work properly - a site with as much content as this has can take a little while to settle down after such a large revamp. Some photos from the IPMS Shropshire show at RAF Cosford. January club night is always one of the highlights of the IPMS Farnborough year featuring the ‘Model of the Year’ contest. This year 50+ models were entered, representing the very best work of the club members across all scales and classes. As ever, the competition was close and keenly contested. 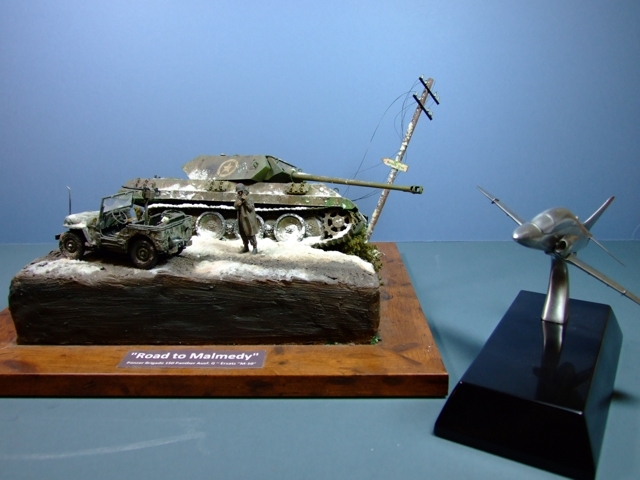 After much debate members voted Mark Chisholm’s "Road to Malmedy" Model of the Year for 2011 - congratulations Mark! Mark’s wonderful diorama captures a moment from the ‘Battle of the Bulge’, Germany’s final offensive on the Western Front during the bitter winter of 1944/5. An American GI stands guard by a disabled Panther Ausf.G disguised with tinplate and paint to resemble a U.S. Army M10 Gun Motor Carriage. Mark’s model will represent IPMS Farnborough at the Nationals in November.